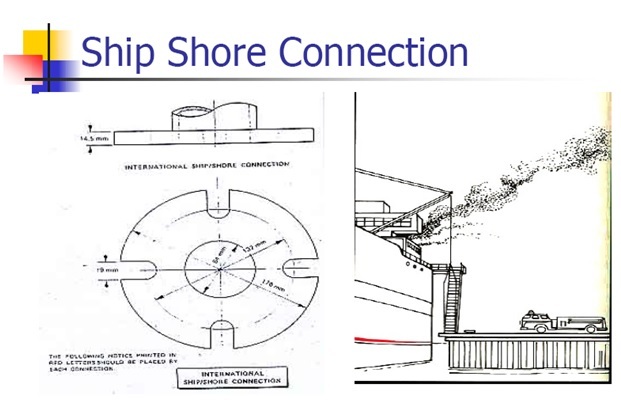 To provide a common link between shore hydrants and ship’s fire mains. Situated in such a position as to be easily accessible to fire brigade officers. Example : Near top of the accommodation ladders or mates office. What is regulation for Wire Rope on ships ? Which types of training should be done in Fire Drills on ships or on board ? What is meaning of Permit to Work System on ships ? What is meaning of Pressure Surge and its cause on tankers ?